We're the original organization for women in Southlake. 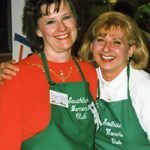 The Southlake Women’s Club is a highly respected nonprofit organization with more than 150 members from Southlake and many of its neighboring cities. To date, we’ve donated over $2.9M to local charities benefiting women, children & families in Northeast Tarrant County. The Southlake Women’s Club, Inc. is a registered 501(c)4 organization, and the Southlake Women’s Club Foundation, Inc. is a registered 501(c)3 organization. We are committed to providing community support and involvement through active participation and service, charitable contributions, grants, and special events, as well as to cultivating friendship and fellowship through social, educational and business gatherings. Six women, led by SWC founding president Gina Bernasek, got together for the first meeting of the Southlake Women’s Club in October. Initially held at Johnson Elementary, the community event later moved to Carroll Senior High School. SWC members prepared and served the meal, and tickets were sold for $6/adult and $3/child. As the event grew, additional fundraising efforts were added, including prize drawings and a silent auction. The money collected was used for a variety of community needs, including equipment purchases for the volunteer fire department, a fire safety house/trailer, books for the city library, a sound system for the senior center, and xeriscaping gardens and adding park benches at Bicentennial Park. 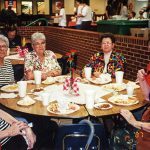 At the final Spaghetti Supper in 1999, the Southlake Women’s Club served 1800 people. When the sale began, SWC members sold school supplies over several days at the old high school on Dove Rd. 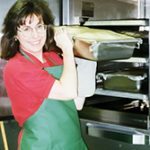 Eventually, the sale moved to the current Carroll High School, and in 1999, the event became a one-day sale of individual pre-packaged supply boxes. By 2013, we launched online supply pack sales. Today, the sale continues online, with home delivery. While proceeds from the sale were originally used to provide scholarships for graduating CISD high school seniors, today’s participating schools use funds to purchase enrichment materials for students. 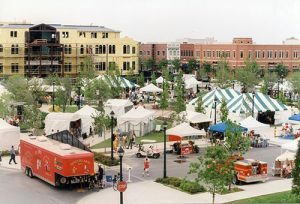 In the spring of 2000, the club hosted a new community event, and Art in the Square was born. The first festival hosted 45 artists, and SWC members and their husbands prepared and sold food and beverages. Now ranked in the top 10 juried art shows in the nation, this annual event—powered solely by volunteers—draws tens of thousands of visitors and has raised over $2.7M for charities in Northeast Tarrant County while also funding dozens of scholarships for CISD graduating seniors. After the club had moved away from its annual Spaghetti Dinner, our community outreach board member Ginny Eames wanted to do a spaghetti luncheon to thank local senior citizens for their years of support at the fundraiser. The first Valentine Luncheon was held at the old Southlake senior center, with 64 attending. SWC member Paula Marshall and a gentleman from White’s Chapel Methodist Church cooked the meal in the church kitchen. Bread and salad were donated by Albertson’s. Cake was donated by Market Street, and SWC member Sherri Whitt made chocolate-covered strawberries. Valentine bingo was played with prizes. A musical combo entertained the group. And each attendee was given a long-stem red rose as they left. Today, we continue many of these traditions, feeding and entertaining over 100 seniors at the new senior center at the Marq. The SWC Foundation oversees the distribution of funds raised with our annual School Supply Sale and Art in the Square. A Funding Committee convenes each year to select Art in the Square beneficiaries and scholarship recipients for CISD graduating seniors. SWC Foundation is officially approved as a 501(c)3 organization.